Have you ever mused about your lack of pants options for air travels? If it were up to most of us, we’d just go to the airport clad in our comfiest pajamas and sleep the whole trip away. But no. If you want to maintain a semblance of dignity, you have to change into something a tad more presentable. You can, however, go for the next best thing: Jessica Alba’s chic travel outfit! The 32-year-old actress gave comfortable styling a new look by wearing a pair of slouchy black pants with a Breton-striped top and a knee-length coat. To further push the limits of comfort, she donned a pair of pointed flats. This comfort-meets-chic look gives hope to those who have long forgotten that comfort and chic can even be mentioned in the same breath. Jessica Alba’s outfit is easy enough to copy. 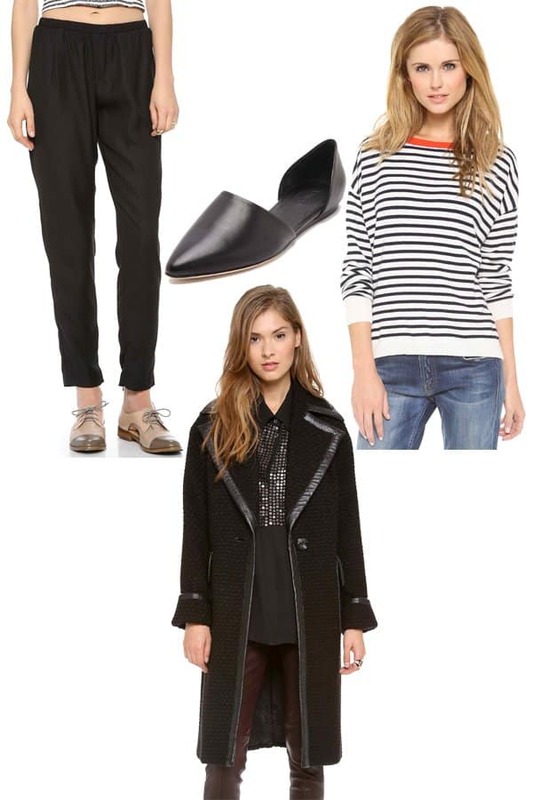 Just get yourself a sweater or a tee with Breton stripes, and wear it over a pair of black slouchy pants. Cap off the look with a trench coat or an oversized double-breasted coat and a pair of flats. 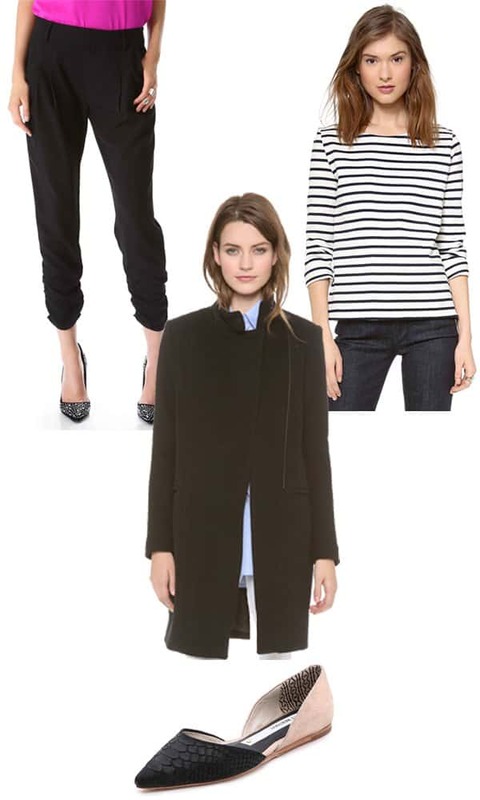 So, there you go, ladies; it’s time to copy this ensemble.